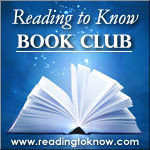 ****** My book club selection this month was 1984 . Did you choose to read along? Did you stick with it? I was intrigued by the plot, but about half-way through I found myself ready to give up. Instead, I sat down to read without interruption for a longer-than-usual period of time. I was quickly pulled back into the story. I'm glad I persevered. Before I begin with my own thoughts, please note that what I share here only skims the surface of the depth of this book. So much more is possible to say. George Orwell wrote 1984 just before his death. It was published in 1950. This was my first time reading this rather prophetic book. The protagonist, Winston, seems to be one of the few people of his time who has managed to keep his wits about him. London, in Winston's day, is without a history. The residents of the nation of Oceania live without a personal opinion. They live for the Party...or die. The Party's leader may be familiar to all, though they may not know the origins of the name of Big Brother. With history (and even language) always rewritten according to the Party's needs, every text and written document related to the past could be erased or rewritten. The past was constantly changing. "Already we know almost literally nothing about the Revolution and the years before the Revolution. Every record has been destroyed or falsified, every book has been rewritten, every picture has been repainted, every statue and street and building has been renamed, every date has been altered." Winston hates everything about the Party, but understands the importance of living for it in outward obedience. Even a shadow of a wrong look may mean elimination. Thoughtcrime (rebellious thinking) is the worst of all crimes. Big Brother is always watching. The party makes certain that Party members has no spare time. If they aren't eating, sleeping, or working, they are volunteering. Time by yourself, even for a casual walk, is dangerous. "It struck him that the truly characteristic thing about modern life was not its cruelty and insecurity, but simply its bareness, its dinginess, its listlessness. Life, if you looked about you, bore no resemblence not only to the lies that streamed out of the telescreens, but even to the ideals the Party was trying to achieve." George Orwell's use of the telescreen amazes me. In 2015, most people have a screen in their pocket by choice. In 1984, the telescreen was in every room. Every building. Every room. Always watching. Always talking. Never letting you alone. I found 1984 to be rather depressing. However, I think it's a book we should all read. We can see the dangers of socialism. The dangers of dehumanizing the human race. George Orwell has a warning for us. How will we respond? The commentary in the copy I read addressed this. We can respond with hope that life is not as it is in 1984...or we can give up all hope. Though I'm not getting into the politics of the book here (mostly because I don't think I can do it justice), 1984 provides a great what if. Who would have thought the Holocaust could have happened? What if George Orwell's 1984 became a reality? What might a totalitarian society look like? As I write this book review, once again I realize how much I lack when it comes to thinking deeply about books. I know some of you have read this before and love it or are reading it for the first time. I look forward to hearing your thoughts. If you have a blog post to share, link it up in the comment section below! Or if you just want to chime in on the discussion, feel free to do so. I'm so glad that you picked this one for us to read, Annette! Thanks for leading up the discussion here. 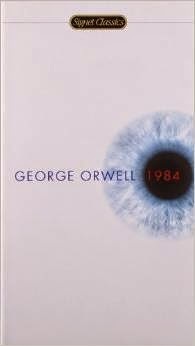 I found 1984 to be quite engaging and didn't have a problem working right through it - but I like dystopia. I was a little afraid to discuss it because I'm not much a fan of "sky-is-fallling" type discussions - and I feel like there are plenty of opportunities for that within this book. While there's a lot to be discussed politically (even if I'd rather not discuss that part), I focused on what freedom is (apart from politics) in my review. Thanks for picking this book - I enjoyed reading it! I actually participated this month as well. I'd read it in high school, but I'd forgotten a lot of the details. This was a must read in high school and evidently I had much more important things on my mind and didn't appreciate all this book had to offer because the only thing I remember is the cameras in every room watching and listening to everything. I so wanted to get to this, but just didn't. Maybe this summer. . . I like that you had to sit yourself down to finish it. I have had books like that. Like, my own choice in February. And yes, I picked up on that time by yourself being dangerous too. That is so creepy!